You are here: Virgin Islands News Online » News » EXCLUSIVE: Ralph T. O'Neal OBE weighs-in on Opposition Leader appointment deadlock! EXCLUSIVE: Ralph T. O'Neal OBE weighs-in on Opposition Leader appointment deadlock! 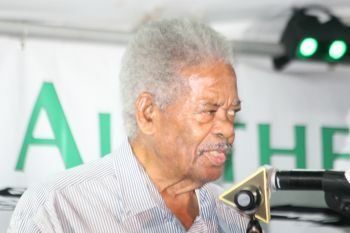 ROAD TOWN, Tortola, VI – Former Leader of the Opposition Ralph T. O’Neal OBE has added his views on the deadlock between Hon Julian Fraser RA (D3) and Hon Andrew A. Fahie (D1) over the post of Opposition Leader following the 2015 general elections where the Virgin Islands Party (VIP) got hammered in an 11 to 2 defeat. “The Congress [of the VIP] has appointed him (Hon Fraser) as Chairman of the party. It is not a matter of what I think…it is the Congress that made the decision. Not me,” he said, not wanting to add much more. 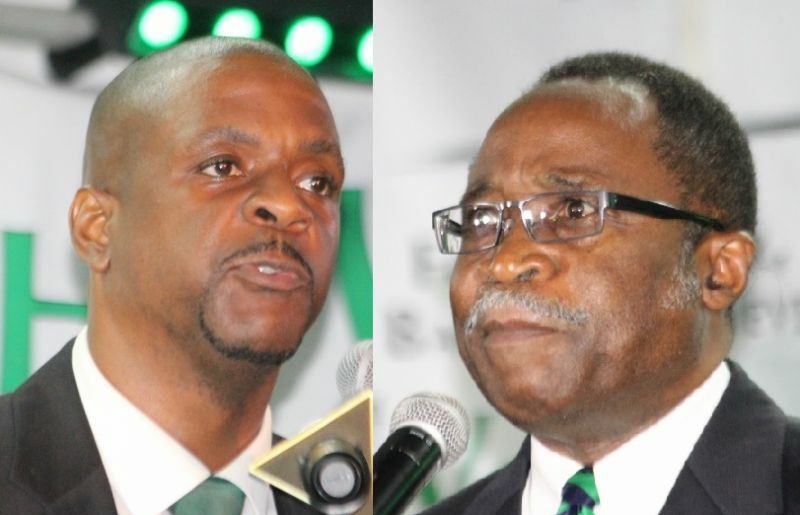 However, Hon Fahie, according to information obtained from the Governor's Office, has refused to go along with the VIP Chairman Hon Fraser as the Opposition Leader as he believes Hon Fraser has caused the VIP to lose at the June 8, 2015 polls. This has now resulted in an impasse for which Governor John S. Duncan has given a month for the two men to resolve who will be the next Leader of the Opposition, succeeding O’Neal who did not run for re-election in his district this election and who had demitted the position as Chairman of the VIP since its May 2014 Congress. According to the Virgin Islands Constitution, a majority in the Opposition must decide who will be the Leader and that must be conveyed in writing to the Governor. 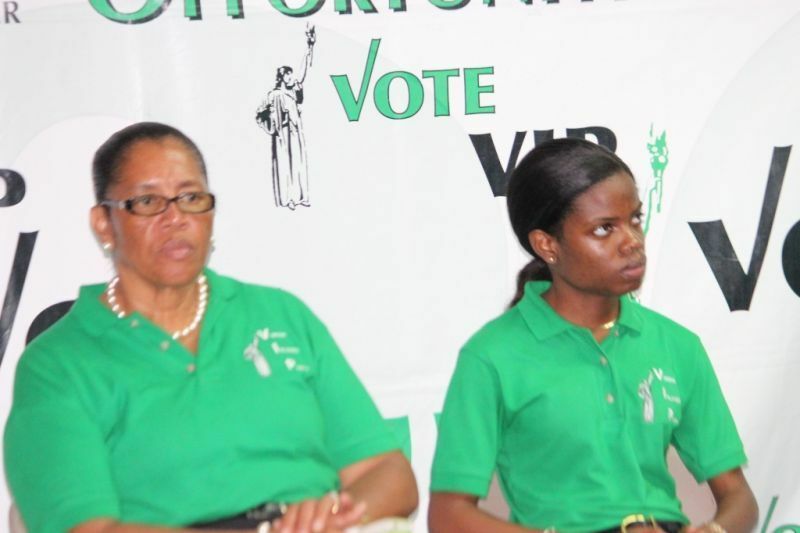 Many of the VIP candidates have blamed Hon Fraser for their loss as it was reported that they were told on the campaign trail by voters that people could not vote for them because Hon Fraser was the Party Leader. It is this news site’s understanding that this concern was one of the main reasons behind the signing of a letter by a number of members, which included former At-Large candidates Irene F. Penn-O’Neal and Sharie B. de Castro, and former District candidates Elton L. Sprauve, Oleanvine Pickering-Maynard, Elvis J. Harrigan (Mervin ‘Lucky’ Charles signed for and on behalf of Harrigan), Andrew A. Fahie, and Zoe J. Walcott-McMillan, in which they endorsed Hon Fahie for the post of Opposition Leader. This letter was sent to Governor Duncan. This news site also has learnt that there is an attempt to unseat Hon Fraser from the Chairmanship of the party, with former District 5 losing candidate Zoe J. Walcott-McMillan spearheading a petition to force a meeting of the VIP governing body, its Congress, to have a vote to remove Hon Fraser as Chairman. 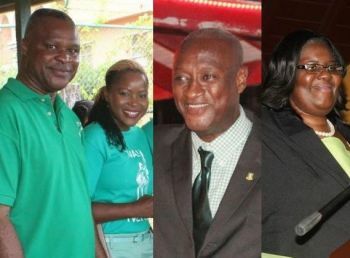 The Virgin Islands will make political history at the sitting of the new House of Assembly on Tuesday June 23, 2015 as for the first time the House will convene without an Opposition Leader. We will continue to bring you updates on this ongoing situation within the VIP. Fraser, Romney, Bunbury, Rajah, Dawson and Walters need to continue the party and purge out all those who tried to overthrow the leader. A party with rajah and mcloyd..for god sake! they are both loyal to the party. Why you guys on Rajah, everybody know the poor boy was used. VIP was supporting Parson. Sharie and Karl from CGB when they didn't run there. If Rajah was At Large he had my X, this young man has great potential. "If Rajah was At Large he had my X, this young man has great potential." I cannot understand why Frazer has not resigned when he lost the election so badly. Everyone knows his party is unelectable with him in charge. Go with grace. Did Dr. Smith or Dr. Pickering resigned when they loss 11 seats back then? 2. he had the support of his colleague, Dr. Pickering (clearly not the case for Fraser in 2015). The VIP needs to realize that it is going NOWHERE with Fraser as Chairman. It was quite obvious that Fahie would challenge Fraser for both leadership positions, if the VIP lost. The party is dysfunctional and the whole leadership needs to be changed, including the President. Even if Fahie becomes Opposition Leader, he should not be made Party Chairman, as the VIP will face a similar beating in 2019. Neither Fraser or Fahie should be appointed Chairman for the sake of the VIP. I wonder if we can truely say that the party lost the election because of Fraser. A number of people may have told candidates that they cannot support them because of Fraser, but did anyone take a count on how many persons said this. That would have been a good thing for the candidates to do so that they could compare notes. People certainly did not tell Fahie this because he won, so is he basing his decision on "hear say" or he has some figures. Bunch ah crooks------you are too naïve---your premise sounds good, but there is no progress, or success in it. In other words uncle ralph thinks fraser is the chairman and he should be opp leader botton line! let Ralph rest from tryin to involve the man in ayo mesh. DON Q, Ralph did not say that. He said the congress elected Fraser [for better or worse] and [if there is a mess] the congress must clean it up. In fact if you read between the lines, it appears he was NOT in favor of Fraser being elected as chairman. I don't think Ralph would ever be in favour of anyone else but himself being Chairman especially after he was forced our against God's wishes last year. I don't recall him ever saying that the Lord told him to step down as he frequently reminded us about. I coulda tell u dat. Ralph is on the ball. The Congress made a decision and a few losing candidates cannot change that. As it stands Fraser should be leader of the opposition. I don't see how the Governor can decide otherwise without the party itself changing leadership. These people have not stopped to consider the damage they are doing to the party. Fahie should wait this one out. Do you all even know the constitution? Leader of the party does not automatically make you Premier or Leader of the Opposition. After the respective parties have been voted in, they still have to vote on respectively. ........ You have been educated if you choose to take it! Yes but isnt the vote done by elected officials? With only 2 vip elected and nobody wanting to budge then what? The Governor has the power to make the appointment ubder the constitution and he will need some basis on which to make that decision. It is shameful and will spell the end of vip as we know it. excuse me! there is the VI Constitution Order 2007 and then there is VIP's Constitution; the two operate differently and should not be mistaken to be the same! According to VIP Constitution the Chairman is the Premier if they have the 7 seats or more to form the Government. as it relates to Leder of the Opposition that is another story! the losing candidates that wrote to the Governor have no grounds on this issue and are making themselves look foolish and embarassing the VIP Party!! As the ole people say, "Who doan hear goin feel"! It was Miss P first and now Fahie who all attempted "coup d tat" on the VIP. Who did Miss P wanted to oust? Mutiny at its finest, just weather the storm and continue to steer the course! Fraser just fight Ralph for leadership. Is he any better than Fahie? Go take your medication looney. That Z*e is an alledged confusion maker. Her nable string tied to up by the burial ground in Road Town. Where used to have more confusion than up there? So she inherit some of it -- cussing in the streets ooo!!! My hats off to Kishmet. She left the VIP because she strongly believed that her district representative was not fit to be Premier and she was right. She wanted to petition to have him removed because she said she can no longer support VIP with him as leader. She wants a house, paying rent ain't enough. She needs a house, and there are circumstances under which she could own one, so why not. "humility is not thinking less of yourself, it is thinking of yourself less". Fraser has been self-important for years. Let Andrew lead. He is more of a diplomat and easier to talk to (if that is possible). Fraser sticks him foot in his mouth more often. Fraser would have more power being a puppeteer behind the scenes helping to organize the party. VIP would get more respect if Fraser steps down. Self-important is something similar to Walwyn. You all think Fraser want power but he will do the right thing. You all full well know VIP will lose with Andrew as leader too. So I am guessing, Fraser, bunbury, and McLloyd are the future of the party? It is unfair to place blame of the failure of VIP on the shoulders of Fraser. VIP lost for many reasons and not because of Fraser. Funny the people of the 1st and 2nd districts had no qwams about voting VIP. All other district candidates for VIP were weak and could not touch the NDP candidates. Plain and simple. VIP Congress dragged their feet on deciding who would run and there was not enough time to make a decent presentation of who they had. NDP was better organized, had stronger candidates and had fewer new people to introduce. 2nd District candidate for VIP - dead even before arrival because he lacked maturity and any type of political decorum. 4th District candidate for VIP - driest personality ever seen and the people just could not connect. 5th District candidate for VIP - all the off-the-camera and social media gossip killed the respect, hope and confidence people had. 6th District candidate for VIP - what can I say...no substance what so ever. 7th District candidate for VIP - with more time you might have done better, not win but better. 9th District candidate for VIP - better luck next time. The good Dr was going to take majority of votes no matter what because his NDP supporters were clearly going to vote for him and for the mere fact that he ran without success for so many years against the stalwart Hon. Ralph even many VIP people voted for him because they were sympathetic and admired his perservance. Penn had too much baggage and personal drama hanging over her head and might I add....unfinished court case. She should have sat this race out and plan on the next time around if anything. DeCastro had too many catch phrases and her message got lost in the shuffle. Young people arent only interested in fancy talk. They are out of high school and are a bit more mature and tertiary educated and want to hear facts too. Bunbury...hmm...people were not quite convinced that she was a true VIP. Dawson. I have nothing but praise for him. He did an outstanding job. Anybody who supported VIP could not tell Fahie and the others the truth about why they did not vote VIP because the truth hurts so it was easier to latch on the NDP's generic reason and throw Fraser under the bus. VIP has been bragging for years about its congress and constitution. Both were used last year in choosing a new Leader and in this year which candidates to run. Now that the dust has settled we see now that there are those who have no respect in the process and decisions made and therefore want to forcefully change things to soothe their crushing egos and insatiable need for power. If this battle would have been fought 3 to 4 yrs from now for the next general election it may be better received but right now is both poor timing and taste. Elections are over and people just want to settle back down until the next time around. Stop throwing Fraser under the bus and clean up all your acts otherwise even the few who voted VIP won't vote next time. I am happy that someone spelled out most of what I noticed with the VIP slate of candidates. They were weak. I'll add that the candidate for the 7th as well as Bunbury came off as vindictive against the government because they are no longer employed with the public service. However, it's their behavior that lift them in that pickle. I never got deCastro and I am disappointed that she signed that petition. Both deCastro and Shaina have to work on their strategy going forward. I think that it's bitter for Fahie et al to act like this and they have brought disgrace to the party. Stop your BS!, you sound like a J@CK@$$, next time before you blog, make sure your brain is not in your @$$, stop sitting on your brain and blogging. If you are running a company and the company isn`t making progress keep losing money. Owners would ask for a management change and will get it...If what we have is not working..What is wrong with trying something new?--Mr. frazer need to step down--resign--he is the one making this whole thing messy. No he is not. You all trying to make more confusion than what it needs to be. Break down Fraser and jump on Andrew next. That will not happen. Same voters--next election--saying the same thing....how would the results be different? These Politicians just don`t listen--Dr. Smith said something on a TV interview that I like. He said "He will look at the ministries and make some adjustments"--lovely--That's a listening man--People are complaining about labour, agriculture and health. Wait, he did not say that he will remove anyone, he said that he will make some adjustments. Just be patient. Patience is a virtue. The people asked for change.... real change. So who is the congress? When they a voting for leaders for these parties the public should be able to have a pre-election voting to determine who should be the leaders. This in house fighting gotta stop. There is no future for VIP with Frazer as leader ..OMG.. What is so difficult about this to understand? No-one should have to ask the Hon Fraser to resign. His party lost badly and he should resign his position to allow the party to reform for the betterment of the party. We saw this happened in England just recently. Everyone of the party leaders resigned to allow their party to reform in a positive direction. If Hon Fraser is loyal to his party he should do the honorable thing and resign. This laundry shouldn't have been taken care in their congress. This proves that this party in incapable and incompetent to lead the people of the VI at this time. Why didn't this happen with the former rep for D9? They lost with him in 2011 but he stayed there until 2014. Maybe he should take some of the blame for this. Just asking. Why Andrew don't take his gang and leave???? His father didn't leave the VIP in the will for him!!!! All those losers who signed the petition should be banned from ever standing for election again.They have proven that they are not interested in service, only self and power. We do not need them in our politics. They are not capable of representing us. If they behave this way now, what will they do if they get a little power? We need people with integrity who our youngsters will be able to look up to. Who elected fahie as leader... Zoe? Fahie better stop jumping the gun and wait til his turn! People we need to focus more on the state of the BVI and less on the VIP. We have the next 4 years with the NDP government, and the start of their second term does not look good, 80% of the BVI voted for them and 100% of the BVI have to live with this decision. The EU blacklisting the BVI is more important than Fahie and Frazer fighting for party leadership. This blacklisting is very serious, now lets us look at what this means; the EU nations has denounce the administration of the BVI, we are now consider as a rogue nation and undesirable for the EU to do business with. Our government need to tell us what percentage of the offshore finances comes from Europe, because they have to readjust the budget base on the loss of income from Europe, this means that there will have a shortage of funds for payment to public servants and capital projects, this means that government would not be able to pay its loans and may not be able to secure loans to cover the money loss due to the EU blacklisting. We have dark days ahead don't be distracted by the noise and insignificant issues, focus on the destruction from the storm. BVI ship sinking with the NDP captain and crew, time to call for SOS. Grab a life jacket and sail away,please. Where is the president Carvin Malone? the respected one, the peace maker in all of this. ..We need to hear from Carvin Malone...Maybe he prefer Frazer over Fahie, or this would have been solved--Carvin can solve this easily, If he wants to, he is diplomatic, capable and respected. What's the fuss? Ain't nothing left in the VIP to lead. These 2 fellows would be better off figuring out who is bringing the brown bag lunch for the VIP after the big stink they raise over Myron's company doing catering. I can tell what 2 snouts will be in the free buffet trough first. if the truth be told i would blame uncle ralph for all the things happening with the party, holding on to power that long and did not groom a successor to take over his nine district and the chance he had to groom Danica since he knew how frazer and Andrew would be doing just what they doing now. Could not have said it better. Uncle Ralph was holding on to power and refused to pass the reigns. That is exactly why the party is in turmoil. Who knows from even back then there was pulling and tugging. No unity in the party. In the event he turned it over to Dancia, all hell would of break loose with Mr. Andrew and Mr. Fraser. You ever wonder why Dancia never show up to the press conference VIP had when they lost in 2011. This thing goes deeper than we can ever imagine. Then Mr. Andrew have the audacity to state that people saying that he and Mr. Fraser fighting for leadership and that is far from the truth. Now instead of rallying with your chairman, less than two weeks after the elections, you planning to oust him. What ah ting to tell the Queen. So.if.vip.were elected we wouldnt be blacklisted? So they waited to see of ndp were elected then blacklist us? Stop trying to sound intelligent when you know not what you speak of. The reason for the blacklistinf is nonsense and its not just the bvi its all our competitor jurisdictions. Dont make it seem like bvi did something so wrong. You all sick making everything political. Ndp is the nest govt we have seen since lavity and thats a fact whether you like it or not. Now common sense would tell us that it was a bad idea to elect two doctors to run this country, what these men know about economics and finance? what they know about management of human resources and capital investment ?what these men know about stimulating an economy and creating jobs? these people are mentally bankrupt. Its amazing to believe that 80% of the BVI is lacking common sense, never new common sense was not so common here. BVI, you are criticizing the two doctors for taking the lead of this country, but I must ask you this. What degrees did Lavity had and he lead this country like no other? What he had was a love, a passion and a vision that created the BVI that he left. He believed if he could dream it, he could accomplish it for the BVI, and he did. So, the two doctors can well lead in their present capacity. It is obvious when you do not know the difference between the use of the words "new" and "knew", you should not be here blogging because it is insulting to say that 80 percent lack common sense, that means only 20 percent of the people are literate and has any common sense. BVI, it is plain that we who have common sense can see that it does not reside in you otherwise your unfounded statements wouldn't be made. Reconsider whether you "knew" you erred in your opinion. How can you compare these two blind bat to Lavity? Lavity was a man of vision, these two men have sight without vision, hence the nation will perish. 80% of the nation has no vision, that is why the EU slap you with sanction. The EU took the joy out of you all hollow victory. The EU rejected your leaders as undesirable and rogue to do business with. You all take that, slap in your face. Captain! captain! bring me a shore I don't want to sail with you no more, tell NDP crew to patch up the leak, make sure the ship sink after I reach. @Earth...U VEX!!! !...and more VEX u all lost....U Got some of it.. If we take time and really search deep in our heart I am sure all of us VIP or NDP or any P supporters know that all parties needs some sort of balance. Any time you have persons who not ready to stand for the Truth there would always be problems. There must be a peace maker ask br. Archie and br. Dawson they are the balance men.